Most people these days scroll through plain or lifeless text posts in different social media networks like Tumblr, Facebook, and Twitter. While this may be normal for some, designers like us just can’t help but crave for something extraordinary — some beautiful design. If you’re tired of staring at black text on white background all day, then this app shall be your new companion and best friend! Coined by the industry as “The Instagram for text”, Notegraphy is a free web and mobile app that instantly transforms your plain text posts online into beautifully designed images. It gives personality and makes your online writing look better than ever. Since its launch, Notegraphy changed the overall user experience when it comes to social media text posting. We believe that people instinctively choose beautiful things above others. We hope that the app will capture people’s eyes and hearts through its uniqueness when writing and sharing written content beautifully online. – Rafa Soto, Co-Founder of NotegraphySimply, the app allows users to write and share their thoughts with a spiced up style. Notegraphy users are treated with pre-layouted design collections by some of the world’s greatest artists including Alex Trochut, Chris Rubino, Jessica Hische, Mario Hugo, Mek Frinchaboy, and Sara Blake to name a few. The images created using the app can be automatically shared in social media or be saved locally. In three simple steps—write, style, and publish—Notegraphy achieved for text what Instagram has accomplished for artistic phone photography. Upon signing up, Notegraphy lets users pick their own URL, arrange their notes in their personal gallery, check statistics for each note, follow people, and browse through the beautiful notes created by other users in the app. 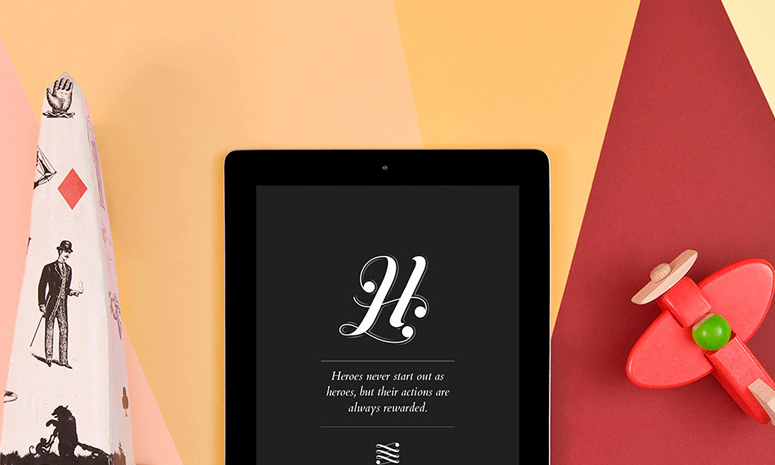 Notegraphy is created by Barcelona-based creative agency, HerraizSoto&Co, the award-winning company behind projects such as OmmWriter, and StickWithMeBaby. The app is available for free from the App Store and Google Play. For more information, visit www.notegraphy.com.